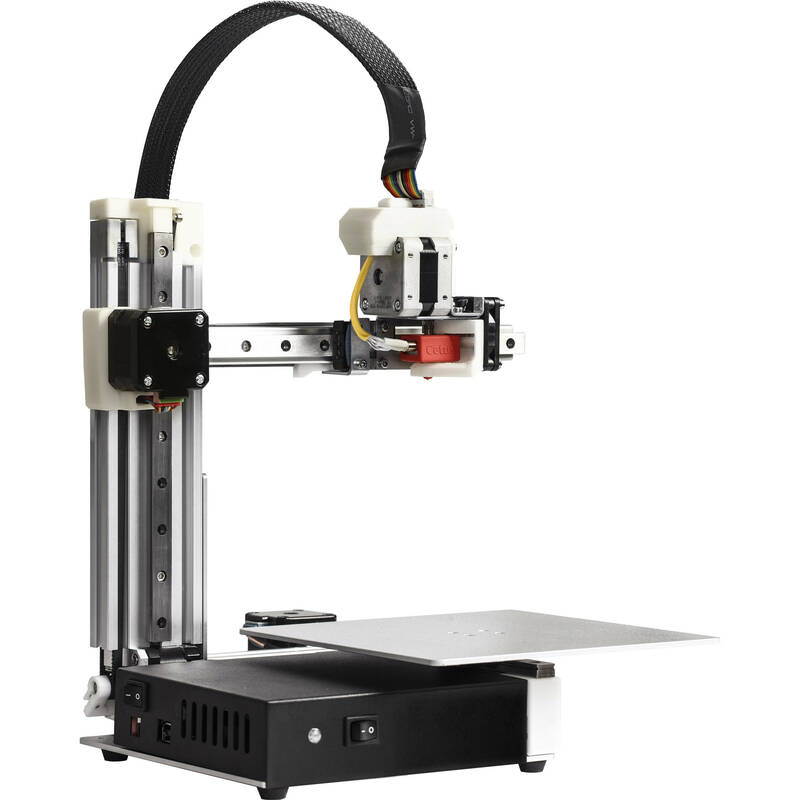 Build Volume: 7 x 11 x 7"
With a build volume of 7 x 11 x 7", the Tiertime Cetus MK3 Extended 3D Printer features a layer resolution of 50 to 350 microns. It also features Melted Extrusion Modelling (MEM) technology. This printer uses 1.75mm filaments, such as PLA, PET, PETG, TPU, TPE, PVA, and wood filled. It can also support additional filament materials with optional components (sold separately), such as ABS, ASA, HIPS, PP, PC, PA/Nylon, metal filled, and fiber filled. Control print jobs with the integrated 4.3" color LCD touchscreen. You can print your compatible STL and UP3 files in an open print chamber. The printer also supports Gcode files with bundled software, such as UP Studio and UP Studio iOS app, as well as optional third-party software, like Simplify 3D, Cura, and Slic3r. Print via USB and Wi-Fi. Box Dimensions (LxWxH) 16.5 x 13.0 x 9.5"